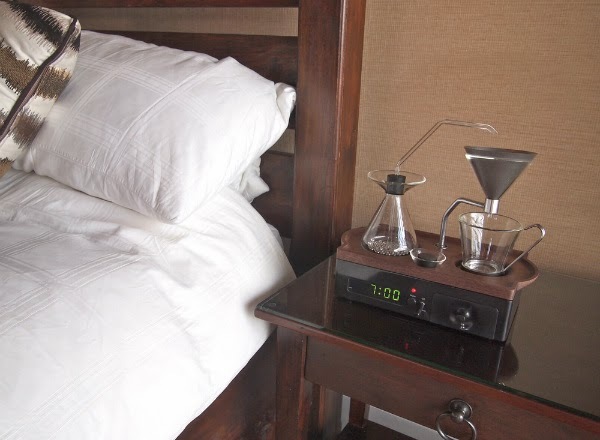 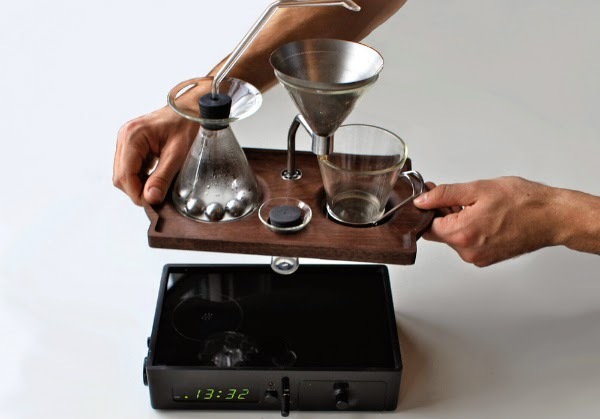 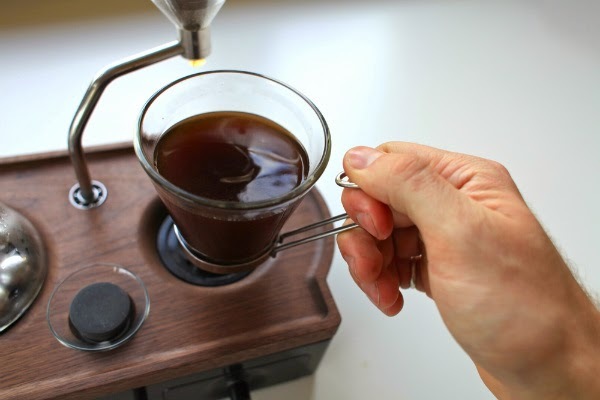 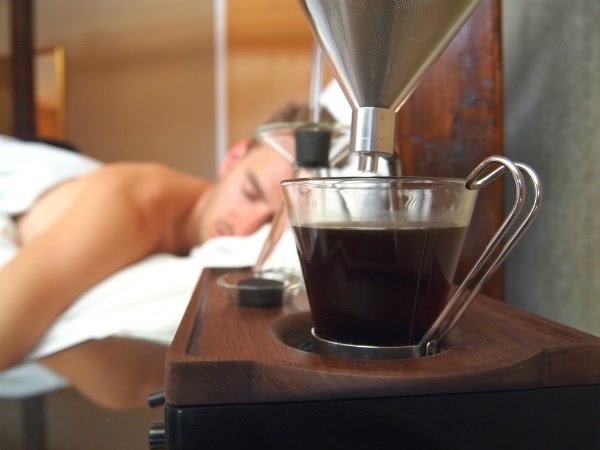 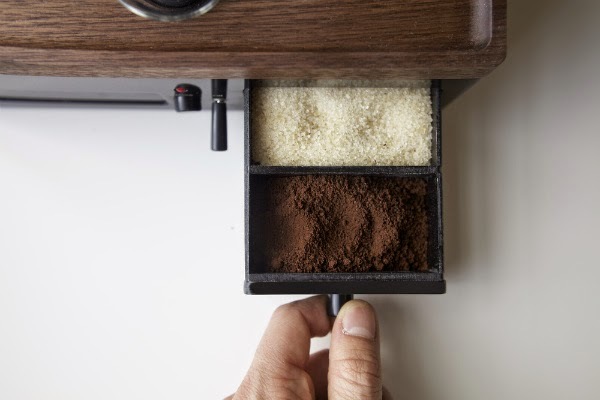 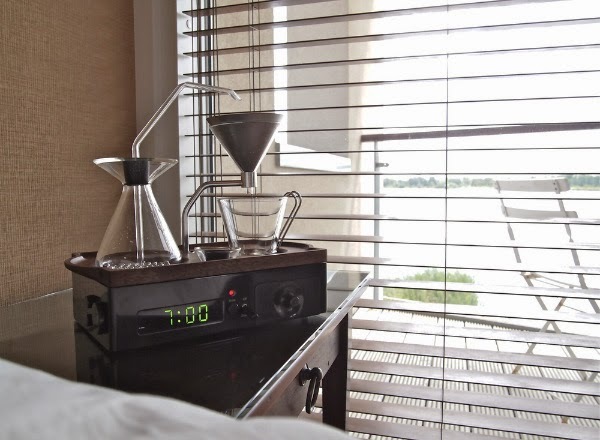 The Barisieur is an alarm clock and coffee brewer, designed by Joshua Renouf. 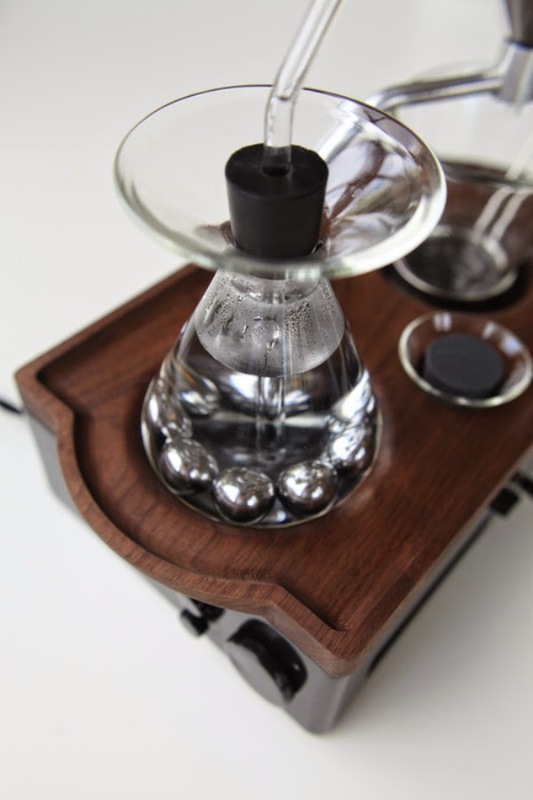 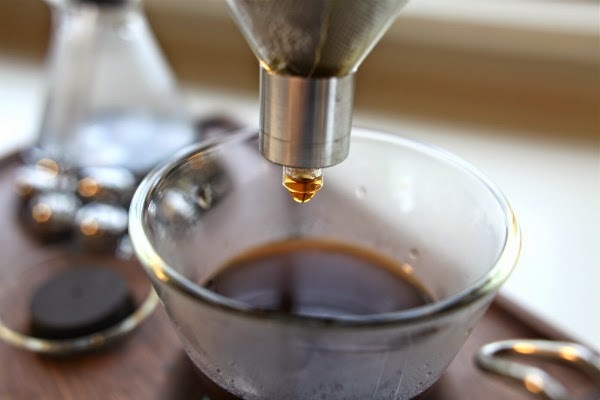 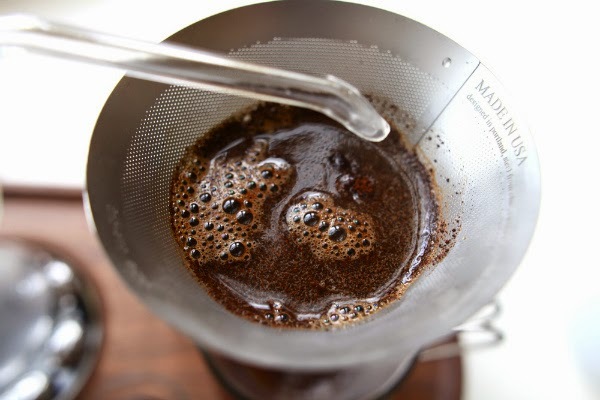 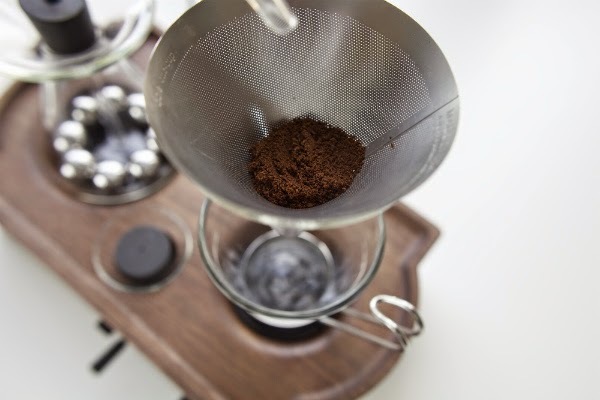 It eases the user into the day with the subtle movement of stainless steel ball bearings that boil the water through induction heating, accompanied by the smell of freshly brewed coffee. 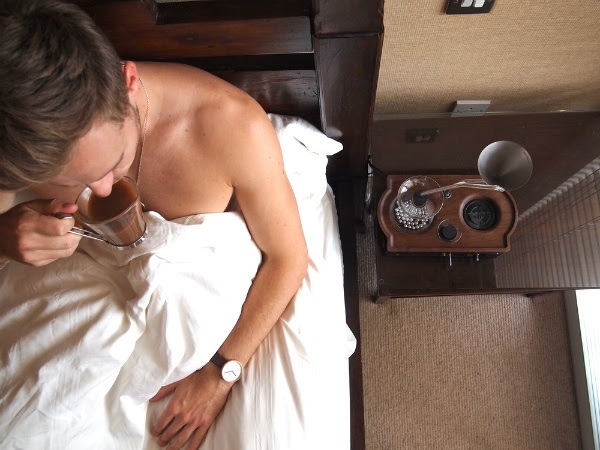 It encourages a ritual before going to sleep, signalling to the body and mind that it is time to unwind and relax. 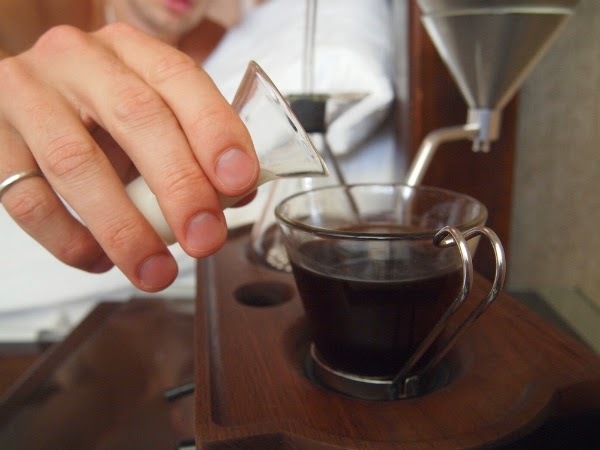 Living slow even when times are fast. 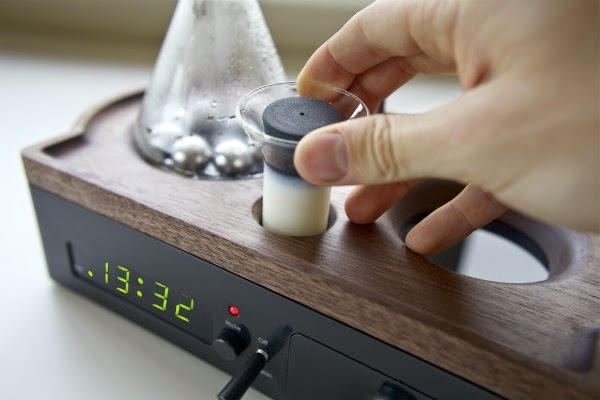 Simply refill milk, sugar and water to this innovative alarm clock before you go to sleep and it will brew you a fresh cup of coffee in the morning.